The Florida Supreme Court is the state’s highest court and has existed for more than 150 years. Regular opinion releases typically occur at 11 a.m. each Thursday. Follow us on Twitter for media updates. 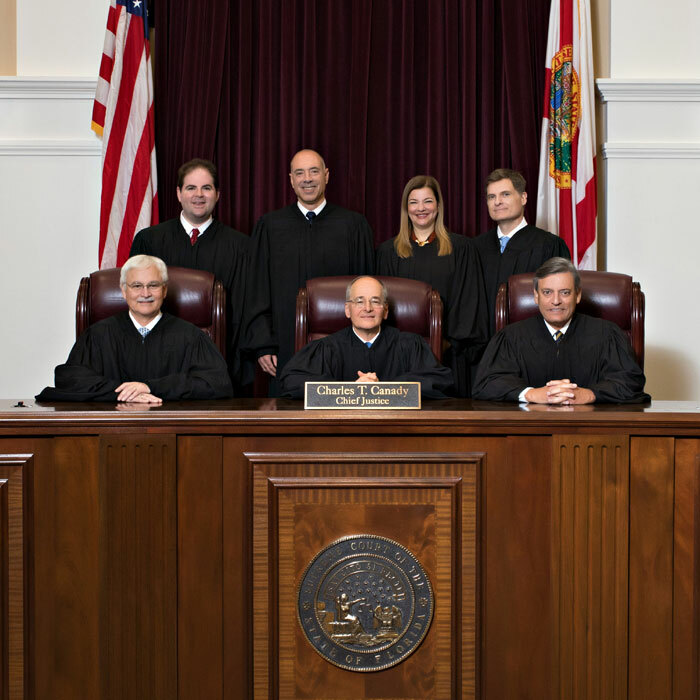 Learn about the members of the Florida Supreme Court. Oral arguments are broadcast on Facebook Live, the Web and TV. A listing and brief summary of cases with high public interest. Report of briefs filed in cases during the previous week. Instructions for Criminal, Civil, Contract & Business, and Jimmy Ryce cases. Tours and educational programs are offered to students of all ages.